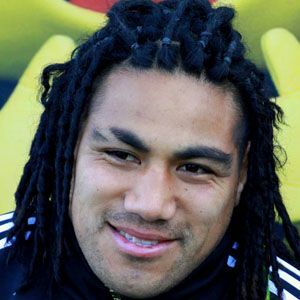 Versatile rugby player who competed for the New Zealand Sevens from 2002 to 2004; played for the Hurricanes in Super Rugby from 2003 to 2011. He attended Rongotai College in Wellington. He became known for his blonde-streaked dreadlocks and for wearing eyeliner on the field. He was born to parents Vaka and Fale in 1982. He and Englishman Jeremy Guscott both played for the Wellington Lions.